SURF – PLAY – STAY. REPEAT. Put the FlowRider to work for you. 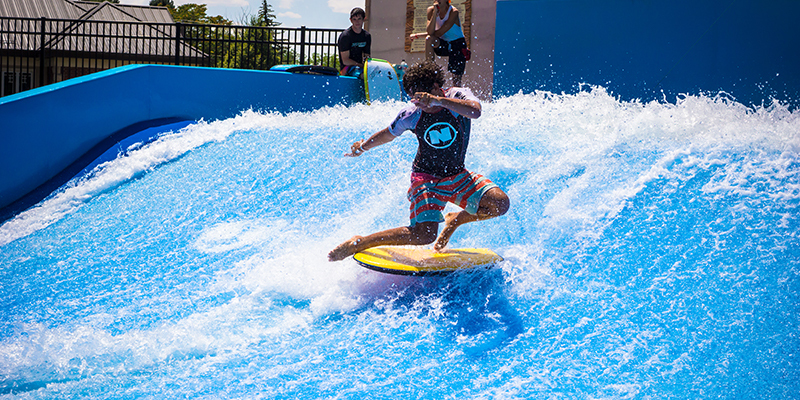 From planning, to programming, to promoting your ride, our Industry Specific FlowRider Planning Guides show you how it all comes together to drive success for your specific type of venue. 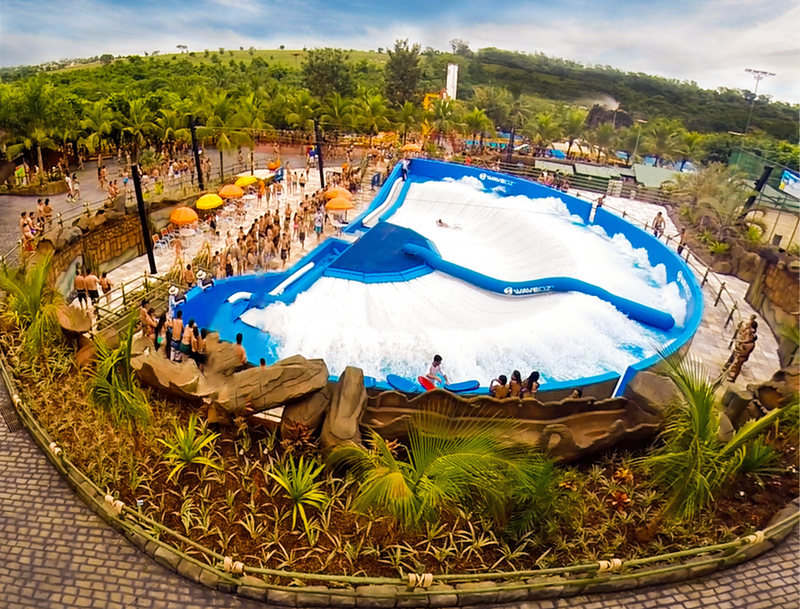 Join the over 220+ FlowRider locations around the world with proven, winning results. 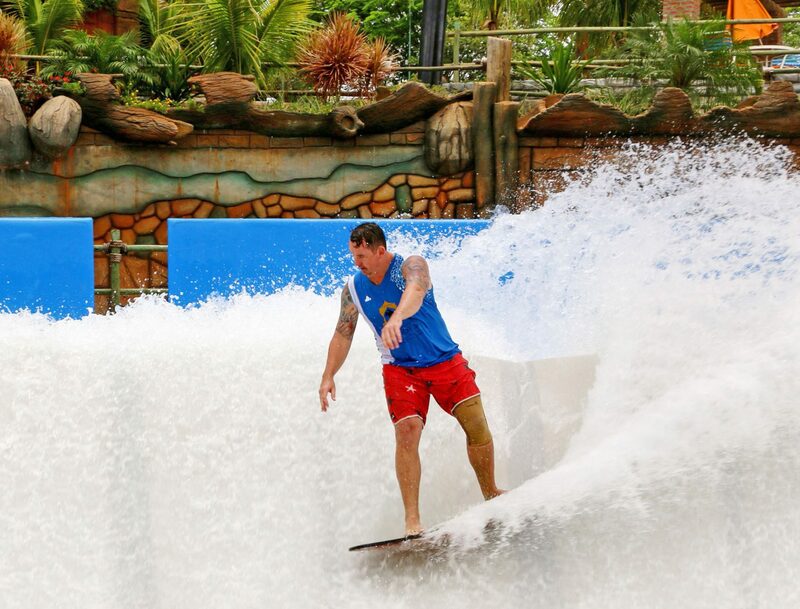 The world’s most popular surfing attraction, FlowRider® brings proven results to any recreational aquatic setting. With appeal across multiple demographics, particularly the key teen and young adult market, this popular skill-based attraction is a proven winner among participants and observers alike, setting the stage for success at waterparks, resorts, schools, and municipal centers across the country. Revenue Driver & Season Pass Incentivizer. 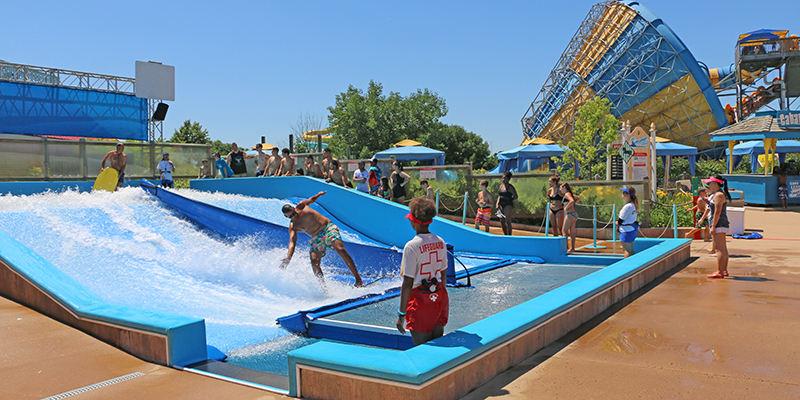 With the same capacity and throughput as a drop slide, nothing beats the FlowRider when it comes to bringing guests back to your park again and again. Its skill based component means no ride is ever the same. And while everyone agrees that the FlowRider is fun to ride, it’s the spectator appeal that really makes this a bonus for water parks. Position by F&B and watch revenues explode by the number of onlookers who are happy to sit and watch the show! Download the Waterpark Planning and Program Guide. A Reason to Stay. 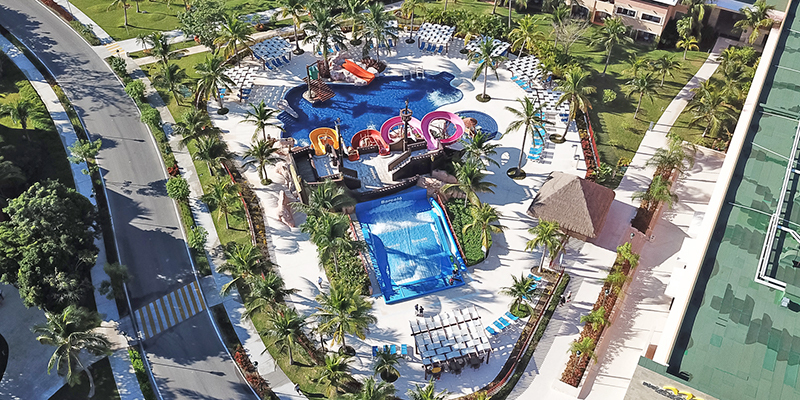 The FlowRider provides the WOW factor that drives traffic to your resort and keeps guests coming back for more, increasing both time-on-property and length of stay while it’s at it! From Gaylord Palms in Orlando, to Planet Hollywood in Las Vegas, to the 18+ installed on Royal Caribbean Cruise lines, the FlowRider has a demonstrated proven track record of success among resorts of distinction throughout the U.S. and around the world. 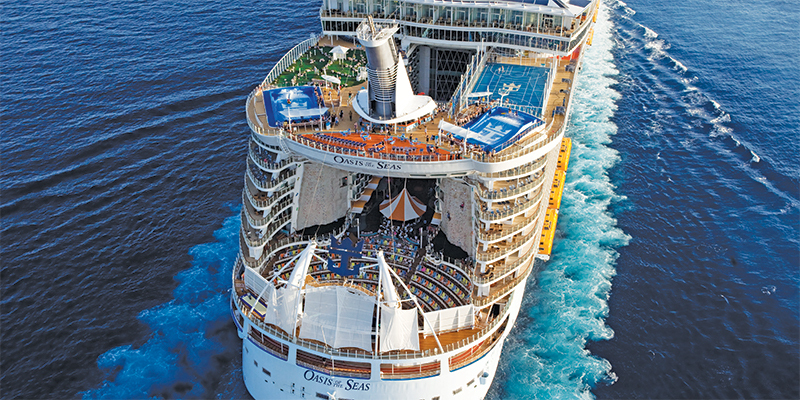 Download the Resort Planning and Program Guide. Making Waves in Your Community. 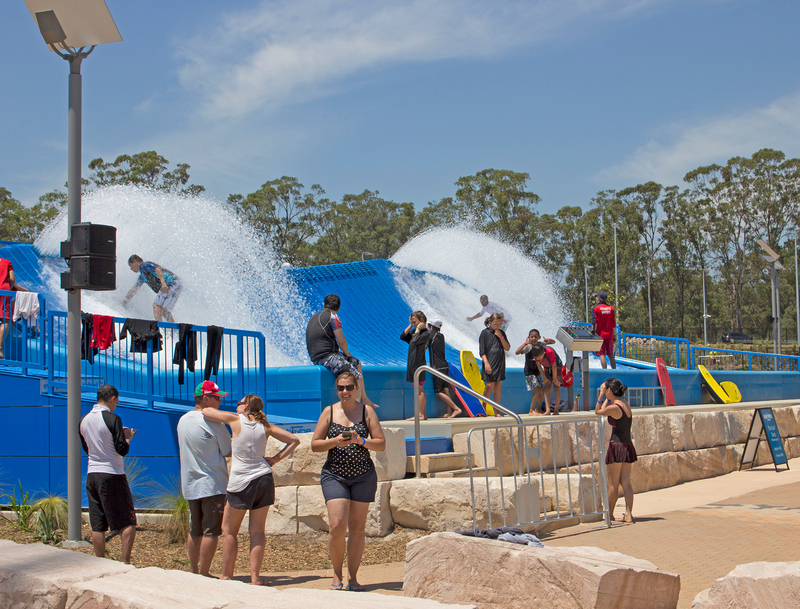 Since 1994, when the first municipal installation occurred in Vista, CA, to the more than 25 found across North America today, the FlowRider has been front and center in the rediscovery of community fun and recreation, matching the growing trend of bringing unique and exciting amenities to attract residents. There is no greater aquatic system available today that can generate as much community interest and entertainment in as little space as the FlowRider. Download the Municipal Planning and Program Guide. Making Waves in Your Community. FlowRider®, the world’s most popular surfing attraction, is a recreational aquatic attraction and sport-based amenity that draws attention and retains interest. And with proven appeal among 18-22 year-old college age students, it is guaranteed to make some waves on your campus! For most college students across the country, the sport of surfing is inaccessible. The FlowRider lets you bring this unique activity directly to your students, no matter where you are in the country, providing that one-of-a-kind experience young adults today are searching for. 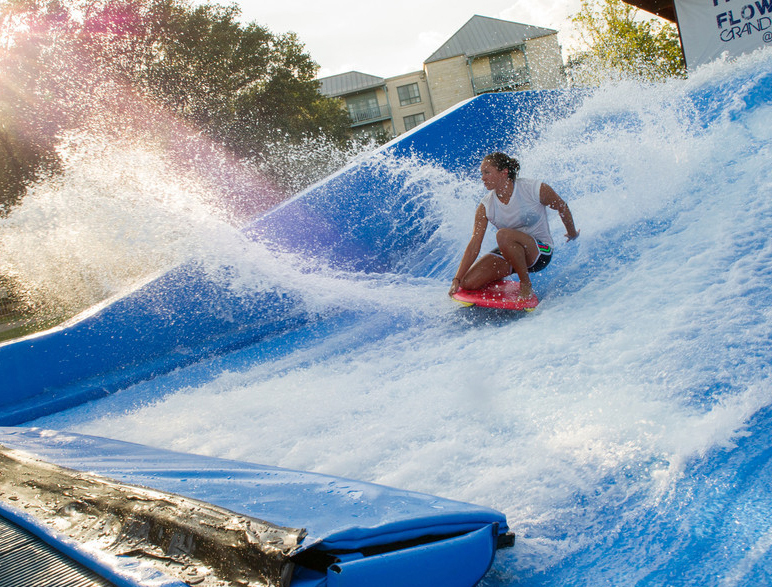 With its’ world-wide presence and strong brand following, the FlowRider has the unique ability to bring heightened public awareness and immediate attention to your campus recreational offerings. Download the Education Planning and Program Guide. No matter your venue, FlowRider has a programming option to fit your needs and your audience. 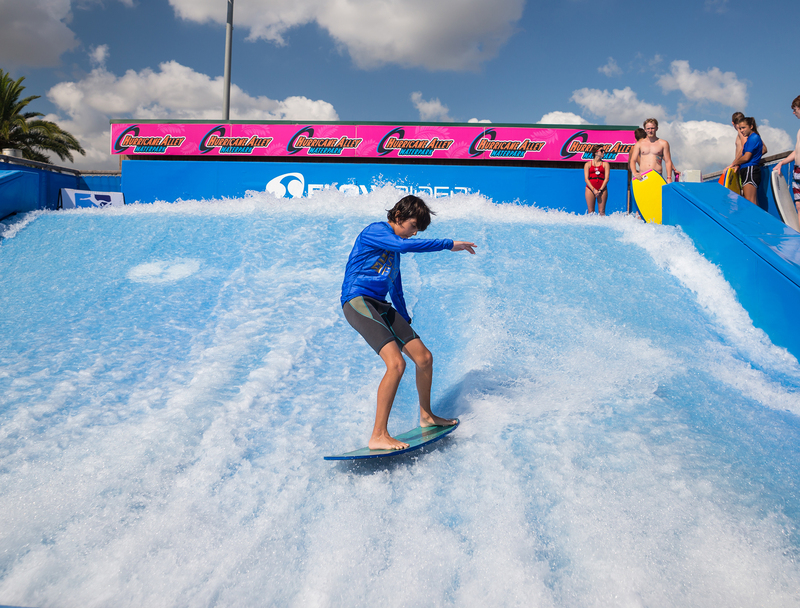 From engaging community interest – to keeping guests on premise – to driving incremental sales and revenues – to creating a space for events and encouraging team participation, no other attraction in the industry has the success of generating results like the FlowRider. 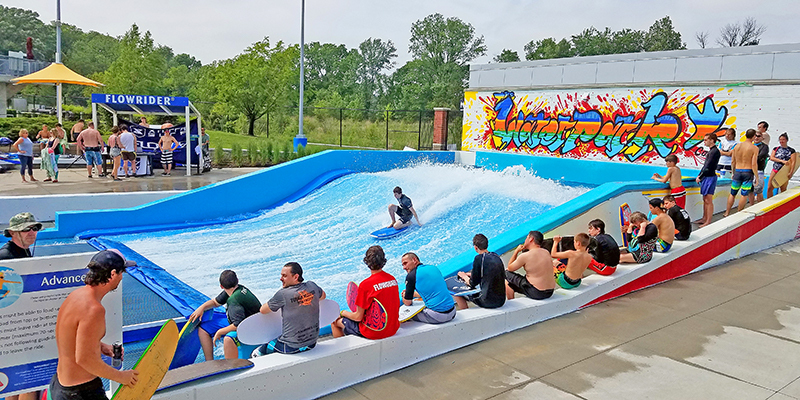 Learn more about the FlowRider surf attraction today or read the case studies from our clients after adding the FlowRider to their venue.